The saga of Australian Senator Sam Dastyari, whose career has been severely damaged by allegations of improper contact with a Chinese billionaire, reached Washington, DC this week as a bipartisan U.S. commission investigated Chinese political influence around the world. 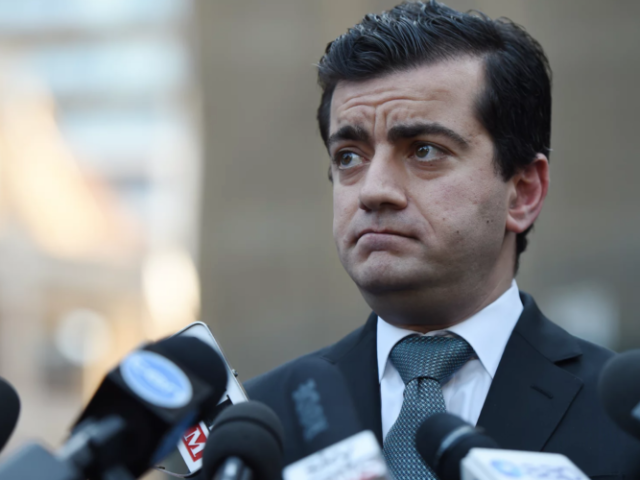 Dastyari, once a rising star in Australian politics, resigned from his leadership positions after the scandal broke. This week, he announced he would quit the Senate entirely, citing the damage his continued presence was inflicting upon the Labor Party. “Senator Rubio noted China’s tactics appeared to be focused on cultivating influential political and academic figures, which differed from Russia’s campaign of spreading messages on Twitter during last year’s presidential election,” Australia’s ABC News reports. Testimony provided to the commission warned of the Chinese government’s efforts to use higher education and Chinese-language media as vehicles for spreading its political ideology, in the United States as well as Australia. “They are able, through, for example, the Confucius Institute, to promote a particular view of China and to close out discussion of certain topics on campus,” said Dr. Glenn Tiffert, a visiting fellow at the Hoover Institution. Use of the Confucius Institute for this purpose is explored in the award-winning documentary In the Name of Confucius. China has established hundreds of CI branches around the world. Also discussed at the hearing was the United Front Work Department, a Chinese Communist Party agency that exports China’s ideology and allegedly seeks to develop subversive relationships with officials in other governments. “Attempts by the Chinese government to guide, buy, or coerce political influence and control discussion of ‘sensitive’ topics are pervasive, and pose serious challenges in the United States and our like-minded allies,” he warned. Examples he provided of this influence included the suppression of academic papers, Internet communications, and even Hollywood movies that displease Beijing. Shanthi Kalathil, Director of the International Forum for Democratic Studies at the National Endowment for Democracy, testified before the commission that China’s influence operations include hundreds of millions of government-fabricated social media posts each year to influence online discourse. Kalathil warned that telecommunications infrastructure built by China in the developing world could become part of its international political influence operation, and it is moving to acquire heavy financial stakes and operational influence in key global applications and Internet services. These technological advances dovetail with the government’s efforts to shape the Internet and other future technologies through key Internet governance bodies and discussions. The Chinese government’s initially derided attempt to direct this conversation, the recently concluded World Internet Conference in Wuzhen, succeeded this year in attracting high-level Silicon Valley participation. Importantly, it established the optic that the world’s leading technology firms have blessed China’s approach to the Internet. Officials in Beijing revealed on Thursday that the Australian ambassador to China, Jan Adams, was summoned to the Chinese Foreign Ministry on December 8 for an “important discussion” about Australia’s complaints of political interference. “The Australian side should be very clear about China’s position on the relevant issue,” Foreign Ministry spokesman Lu Kang said on Thursday. The UK Guardian thinks Adams got a “pre-Christmas dressing down” after Australian Prime Minister Malcolm Turnbull called upon Australians to “stand up” to interference in their politics.